Fly Ranch Geyser, in Nevada USA, is a small geothermal geyser that only started spouting mineral rich water as recently as 1964. 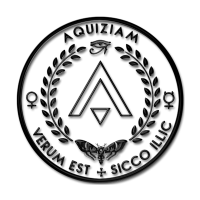 In fact, before then it didn’t exist at all and was created accidentally when a team drilling for sources of geothermal energy tapped into the reservoir. The story actually starts a little earlier in 1917 when a borehole was sunk in an attempt to find fresh water for the ranch in Hualapai Valley. They struck water but at around 200 degrees Fahrenheit and extremely rich in minerals it wasn’t exactly what was needed for field irrigation. This first geyser was allowed to continue venting and over the next forty years created a 3 metre high cone that looked like a miniature volcano. It was the presence of this scalding water that brought the geothermal energy company to the ranch in the first place. 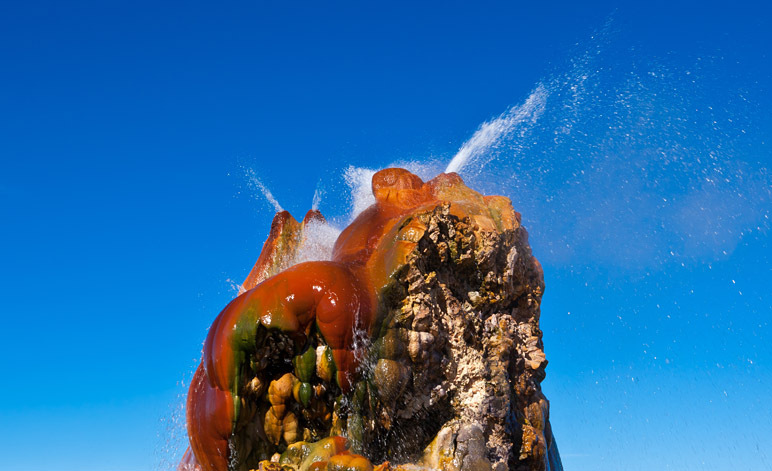 Natural Wonder: Fly Geyser in Nevada with multiple vents and sprays of 1.5 metres in height. The second borehole found the same reservoir of boiling water but unfortunately it just wasn’t hot enough. The hole was plugged but a short while afterwards the seal broke and fountains of boiling hot water and steam erupted. The new geyser was even stronger than the original which now ceased to vent. The perpetual sprays of steam and water can reach between one to two metres in height from the tips of the cones. This cascades down into the surroundings pools of which there are around thirty of varying sizes. Fly geyser has even become something of an oasis for birds and small fish. Fly Ranch Geyser is phenomenally rich in calcium and over the past decades has built a remarkable cone with multiple vents surrounded by tiered travertine pools. The beautiful green colours of the geyser are not created by the minerals but by hermophilic algae, which thrives in a hot, moist microclimate created by this natural wonder. The base minerals create the rust coloured travertine that is rapidly forming a unique and aquatic ecosystem right alongside Black Rock Desert. The feature is not large when compared to the geysers of Yellowstone or Haukadalur (Iceland) but what it lacks in size it makes up in character. It is often described as alien, surreal and mysterious. 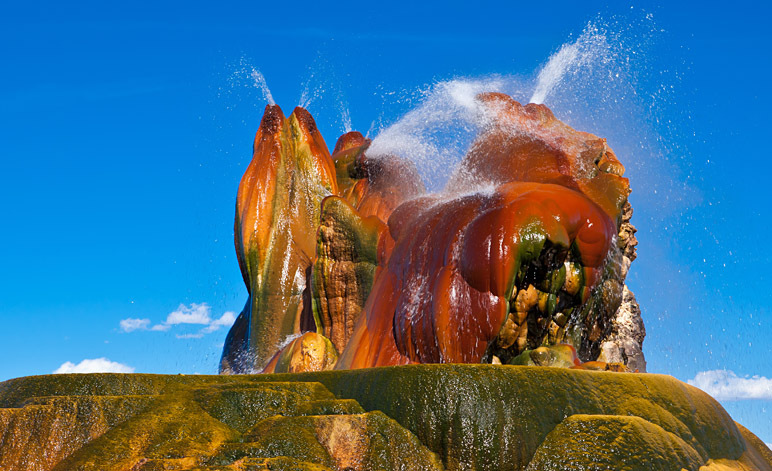 Fly Ranch Geyser is located in Washoe County, Nevada, USA some 20 miles (32 km) north of the town of Gerlach and two hours north of Reno. The complete site covers around 74 acres and is private property although the structure can just be seen from the State Route (CR) 34 that runs along the western boundary from Gerlach in the South to Vya in the North. As the geyser is quite small and around half a mile from the road you will need powerful binoculars or telephoto lens. Casual visiting is not permitted and there are many signs warning of the consequences of trespassing. 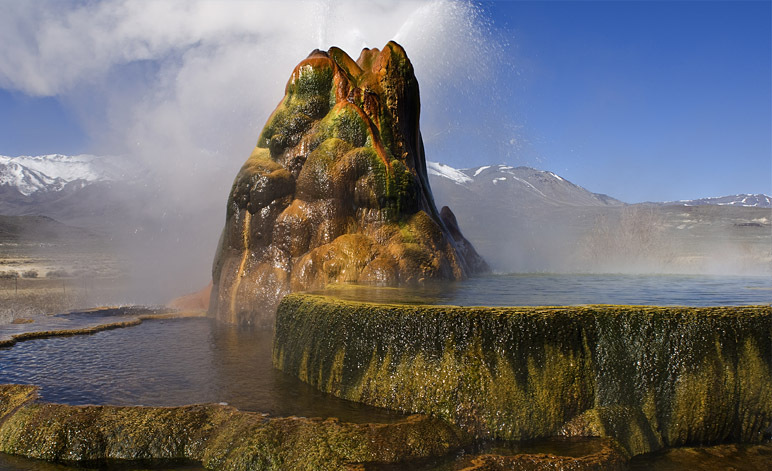 People wishing to visit the actual Fly Geyser Site are generally advised to make inquiries in the town of Gerlach. Are the photos of Fly Geyser Real? Yes, the images of Fly Geyser have not been manipulated to enhance their colour although the angle of most photographs tend to make it look bigger than it is.